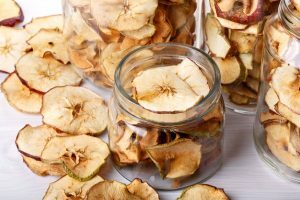 Are you shopping for a food dehydrator? If so, you’re probably wondering how to choose between the many different models on the market today. Food dehydrators allow you to do all kinds of things. You can preserve food for longer, make healthier snacks, and save money by spending less on store-bought food. 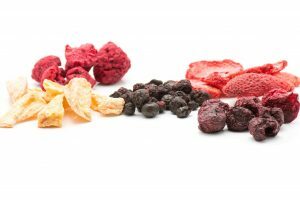 However, the best dehydrator for you depends on a number of different factors. Ready to learn how to pick the best one for you? Keep reading for more! 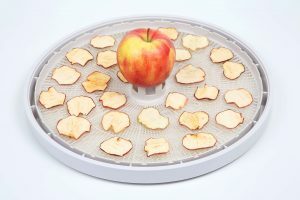 A dehydrator takes the water out of your food. 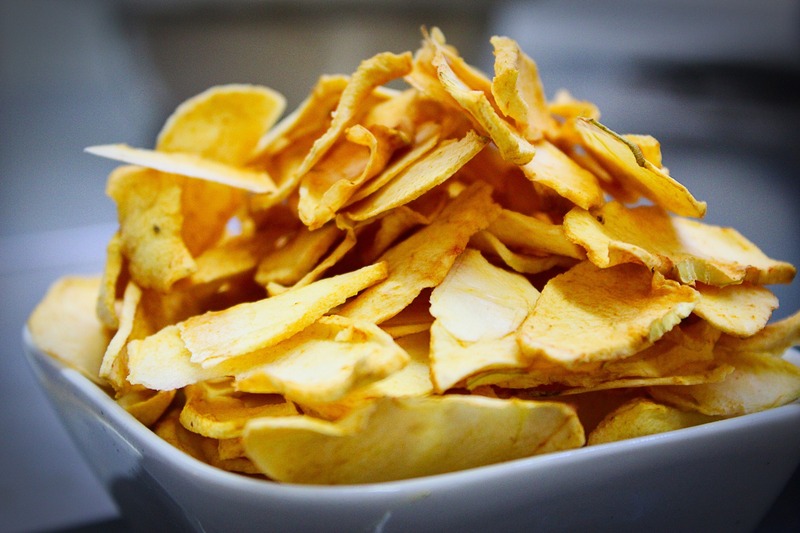 They can be used to make beef jerky, dried fruit, potato chips, and much more. When the water is removed from food, it lasts much longer without going bad. Bacteria can’t grow, and the food can’t spoil, without exposure to water and air. You can also rehydrate your dehydrated food to use it in the future. Your dehydrator will involve a few different parts. The basics are the food trays, fan, heating elements, and air vents. The fan, heat, and vents all work to remove the moisture from the food. First, the heat takes the moisture out of the food, into the air. 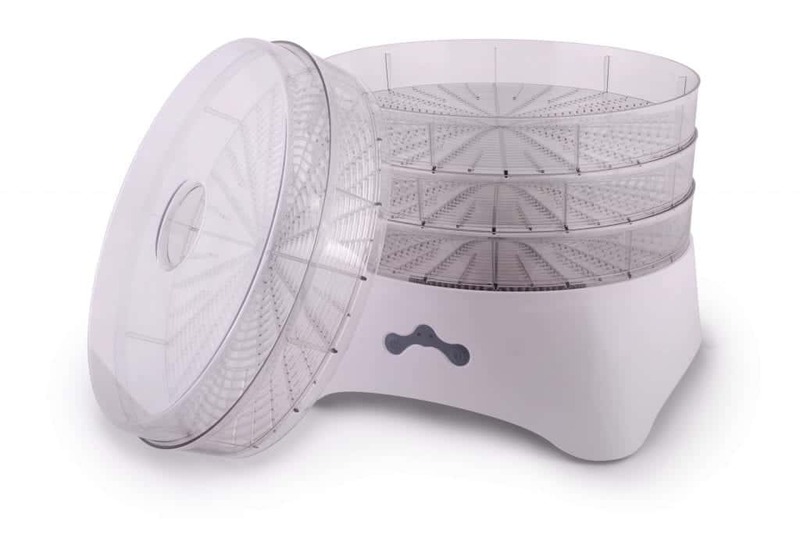 The fan then blows that damp air toward the vents, and out of the dehydrator. Depending on the design, the air might move horizontally or vertically. The position of the fan affects the air flow. 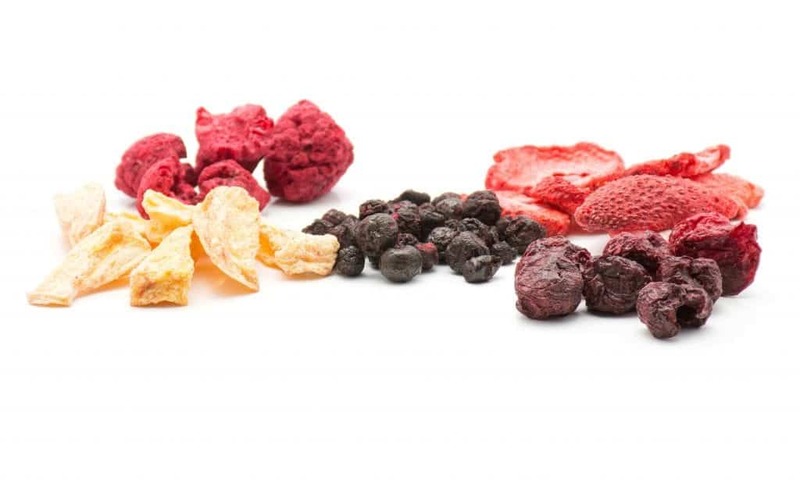 When you decide to buy a food dehydrator, there are a few things you’ll need to keep in mind. Here are the top things to consider before you make a decision. 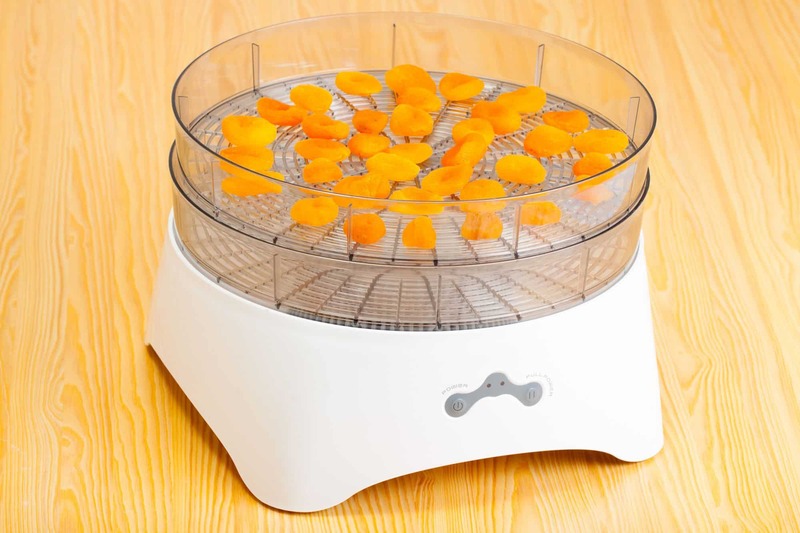 The more even the airflow in the dehydrator, the better the results will be. If there are more fans, the machine will be louder, but the air will flow more evenly. Pay attention to the fan placement, too. A vertical or horizontal fan design works better depending on the kind of food you want to dry. Vertical machines tend to be cheaper, and they use trays stacked on top of each other. However, this design often results in a less even airflow, unless there are two fans. 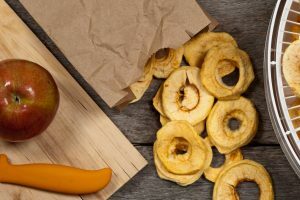 If you’re going to dehydrate vegetables and fruits mainly, one of these inexpensive devices can work well, since these items are easy to dehydrate. However, if you want to take on more difficult dehydrating products, like meat, you’ll probably want a machine with horizontal airflow. 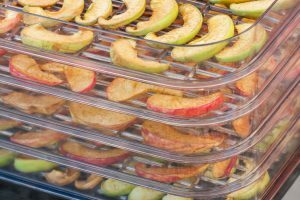 Does the dehydrator use shelves or stacked trays? Stacked trays don’t need to be rotated, because there is airflow through the middle. You can also add or remove trays as needed. Shelf dehydrators use shelves that slide in and out. If the airflow is horizontal, you won’t need to rotate them, either. However, shelf designs tend to have a lower capacity for holding food. 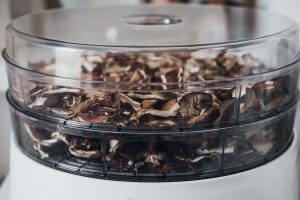 Ready to Shop for a Food Dehydrator? 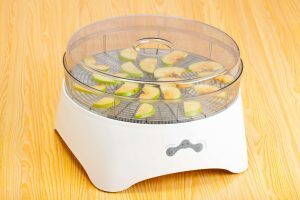 With these features in mind, you’re now ready to choose the best food dehydrator for your needs. 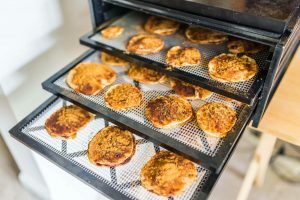 Once you buy a food dehydrator, the possibilities for what you can make will seem nearly endless. 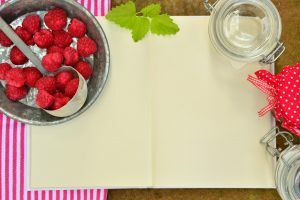 Check out our recipes for some inspiration!